The Lancers are impressively represented on this year's All-Catholic First Team, as we own the players of the year on both the offensive and defensive side of the ball. Congratulations to junior Luke Szablewski on being named Offensive Player of the Year as well as Matthew Vallon for earning Defensive Player of the Year honors. Special nods also go to seniors Alex Denz, Anthony LaRosa, and Nick Levea as well as juniors Brendan Murty and Noah Winiarski. 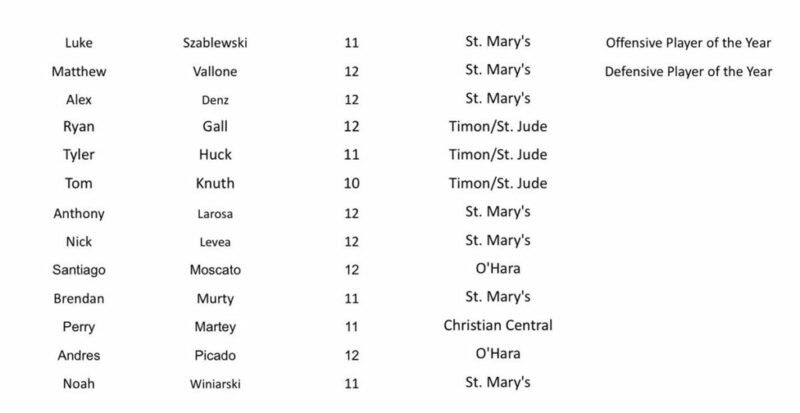 The All-Catholic Second Team is also comprised of four Lancers, including juniors Scott Dugas, Eli LaVarnway, and Sam Mickel along with sophomore Andrew Pufpaff. Did someone say three-peat?! 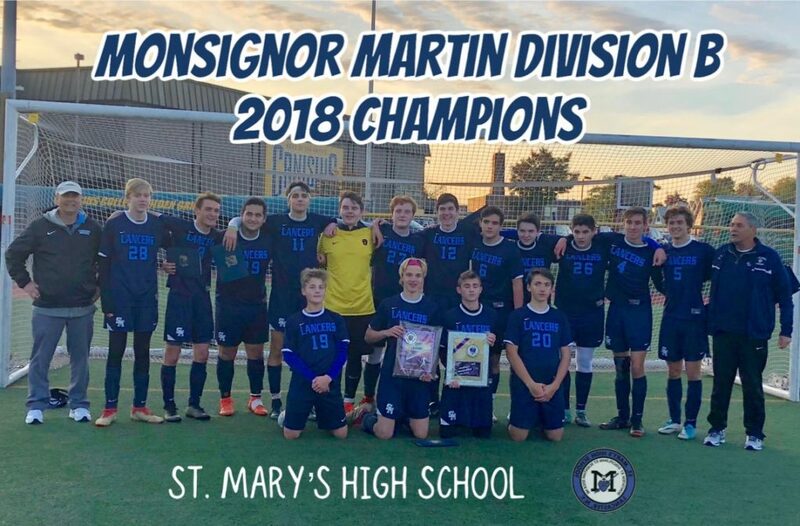 The Lancers beat Bishop Timon 2-1 to capture the regular season and post-season championship in the Monsignor Martin Division B. Junior Luke Szablewski had both goals in the game, and Andy Pufpaff had an assist. Senior goalie Noah Winiarski also had 8 saves in the game.